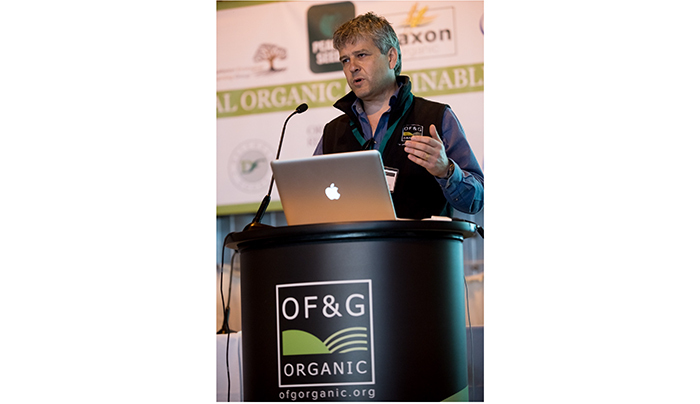 The organic certification body OF&G has warned that a no-deal Brexit risks the continuation of organic food exports to the EU relying on interim reciprocal and discretionary trading arrangements. The news comes in response to a government paper outlining the implications of a ‘no-deal’ Brexit scenario. CEO of OF&G (Organic Farmers and Growers) Roger Kerr explained that the issue comes down to the UK’s inability to be formally recognised as being a third country outside the EU until 30 March 2019. With the application process taking around nine months, and as we effectively only have seven months until the end of March 2019, he says that the formal process to permit exports couldn’t be concluded in time, even if the UK were to be recognised today. “Consequently, we need dispensation now from the EU to recognise that the UK will be a third country after March next year to allow the application to proceed and we would also need the EU to ‘fast track’ the applications,” he added. The government has, however, indicated that in the eventuality of a no-deal Brexit, the UK would allow the continuation of imported organic goods at their discretion and Mr Kerr suggested that a reciprocal arrangement by the EU would see organic food exports maintained. “It is after all beneficial to both UK operators exporting organic products into the EU and EU importers, manufacturers and consumers in the EU that the supply of UK organic products, continues uninterrupted,” he said. “Sales of organic products are currently around €30 billion and growing at around 12% per annum across the EU-28 and so stopping the supply of organic products from a high integrity source like the UK would be self-defeating. Clearly the suggestion of a formal equivalency agreement between the UK and the EU would be the best resolution in the event of the UK leaving the EU and would resolve these issues but he adds that the vague terms used in the government paper such as ‘exploring alternatives’; ‘expect to negotiate’; and ‘asking the Commission’, leaves the industry in limbo.